ADAPTIVE CRUISE! ACTIVE STEERING! BACK UP CAM! 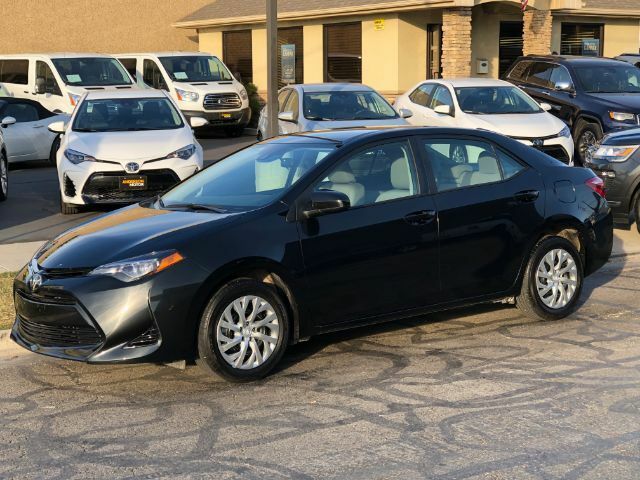 - 2018 Toyota Corolla LE Black, Only 11k Miles! CLEAN TITLE, CLEAN CARFAX, & REMAINING WARRANTY! Toyota Saftey Sense, Lane Departure, Pre-Collision, 6.1 Touchscreen, Backup Cam, Bluetooth, and More! Save Thousands Off Buying Brand New!! Call or Text Us 24/7 at 801-322-0464! * * * * *CELEBRATING 50 YEARS IN BUSINESS, Since 1968! We sell QUALITY VEHICLES at LOW PRICES with a SIMPLE PROCESS! *TOP RATED DEALER OF THE YEAR IN 2018 by CarGurus* All of our cars have a CLEAN TITLE, CLEAN CARFAX, and Remaining Factory WARRANTY! We are set up with Credit Unions to provide FAST and SECURE financing with RATES AS LOW AS 3.99% OAC! Have a TRADE? No problem, we accept all trades with clean titles! Need SHIPPING? We SHIP ANYWHERE in the nation! Need Extended Warranty? Get Coverage up to UNLIMITED MILES!!! WORRY FREE with our 5-DAY MONEY BACK GUARANTEE! Come enjoy a NO PRESSURE car buying EXPERIENCE! Visit WWW.ANDERSONMOTOR.COM to see more pictures and a Free Carfax Report! Please Call or Text us for MORE INFORMATION or to SCHEDULE A TEST DRIVE 801-322-0464!